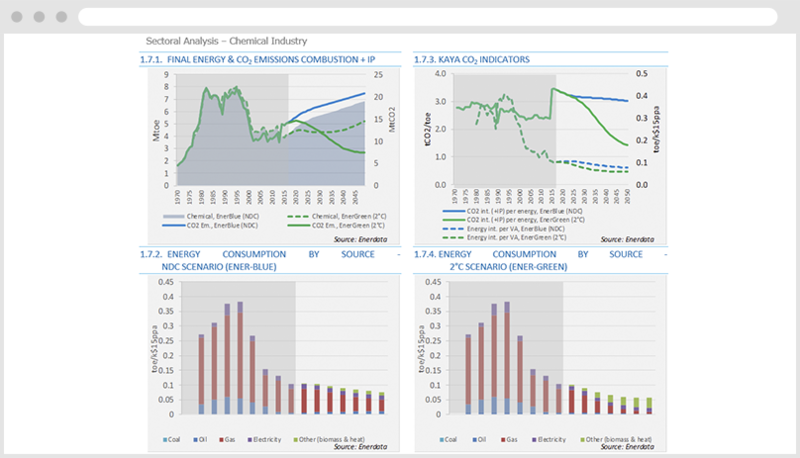 Analyse energy consumption and efficiency trends at world level. Benchmark countries. Monthly energy data on key energy markets. 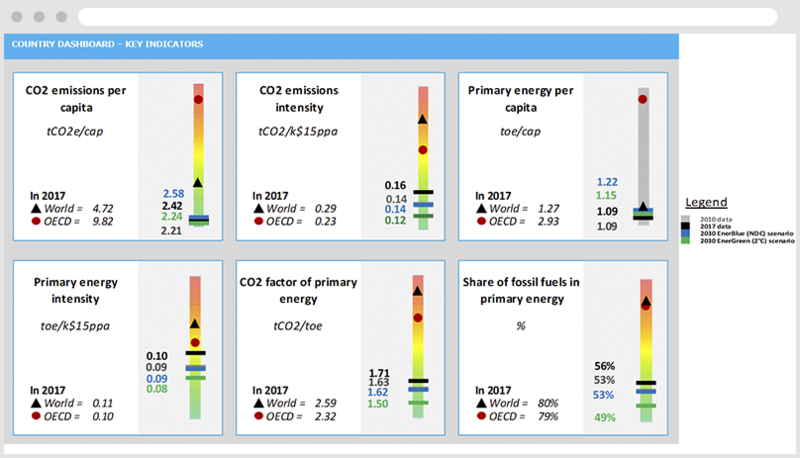 EnerTraM is an innovative new subscription service that provides a set of detailed country reports, offering granular analysis of actual, proven energy transition progress. EnerTraM currently analyses nine of the most relevant emerging markets, and coverage can be expanded to suit your needs. 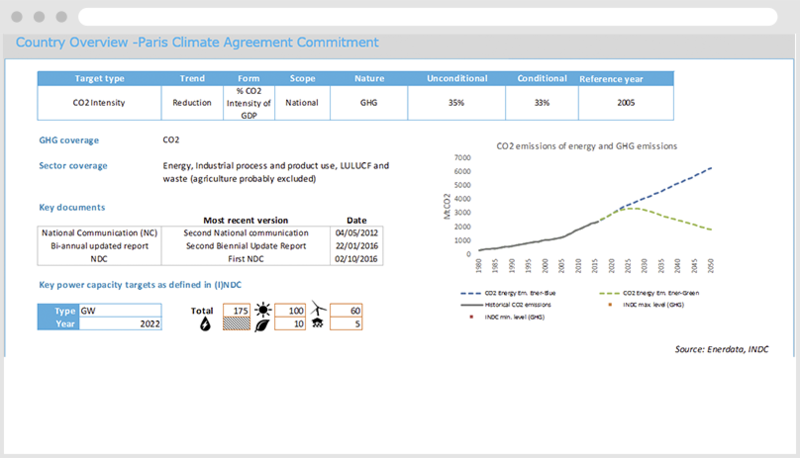 Take advantage of Enerdata’s expertise to see a complete picture of the energy transition. Each report gives a deep dive into the country in question, crafted by Enerdata experts – meaning there’s no noise, only pertinent data. Three robust scenarios leverage our internationally recognized POLES model, providing trajectories not available anywhere else. Vivid, relevant graphs for each section, as well as analytical comments from our experts give ready answers to the most important questions for each country. Put your trust in our unbiased research, analyses and forecasting – as an independent company, we provide a neutral prospective, free of politics. Our methodology is explained clearly. Get an at-a-glance understanding of the situation in each country from Country Overviews and Key Indicators, then dive into the detail with charts, analyses and explanations. Use reports to benchmark against other forecasts or your own data. Save time and skip the hassle of searching, checking and compiling various sources. We fully revise and update each report annually. If you are interested in EnerTraM reports for countries not listed here, please contact us. Just send us an email with the name of your organization, your country of residence and your phone number, and we'll be in touch shortly.